The Floreat Chiropractic team is here to help you. We don’t just provide the healthcare you need; we also want to educate you about your wellbeing and how to protect it in the long term. To do so, we offer health talks on a variety of topics such as sleep, running techniques and more. Did you know that you can keep your back healthy and pain free in just a few minutes per day? 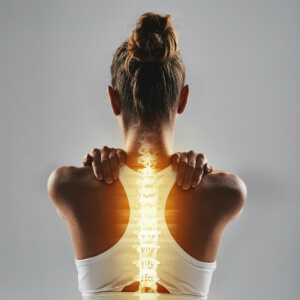 Come and join us at our December workshop ‘Half Hour to a Healthy Back’ on Thursday 6th December (6.30pm – 7.30pm) where we will teach you the 3 key secrets to keeping your back strong and injury free! To book your seat call the clinic on (08) 9284 9444 . This is a free event, however get in quick as places are very limited. We are inviting you to an evening dedicated to women, where Dr Liv will be talking all things hormones and how to make the most out of your health! 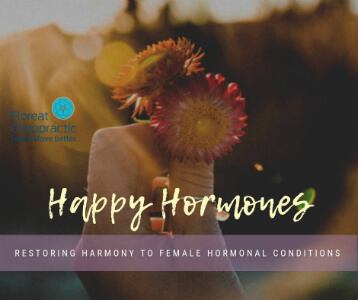 Changes in mood, weight gain, symptoms of pain and discomfort associated with menstruation are often a reflection of your hormonal system being out of balance. But with some hormone-healthy choices, the right information and support, you can achieve greater hormonal health and happiness. Spaces are limited so get your FREE ticket through our Eventbrite link or call (08) 9284 9444 to secure your spot. New workshop dates to be announced soon. Contact us today to find out when our next event is being held or to get registered!